It appears there’s a reason so many crime books and films involve abandoning cars in airport long-term parking lots. Nobody notices them. 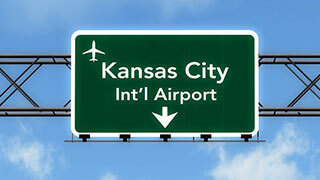 At Kansas City International Airport, a decomposing corpse sat for eight months behind the steering wheel of a vehicle in an airport’s long-term carpark without being noticed or arousing suspicion. Meanwhile, friends and relatives of the deceased searched high and low for the missing man. Relatives even hired a private investigator to track down the dead man. Randy Potter, 53, who worked for a mobile phone company, went missing in January. After an extensive search that continued for practically all of this year, family members were shocked and dismayed to learn he had been deceased all this time, the Kansas City Star reported. Police discovered Potter’s body sitting in his truck when they investigated reports of a foul smell emanating from a vehicle in the long-term carpark at MCI. The family held a news conference on Friday to ask why Potter wasn’t found sooner. Potter’s wife and niece, who went to the airport looking for him within a week of his disappearance, say airport authorities assured them that if Potter’s vehicle was in the carpark, security officers would surely find it. They didn’t, though thousands of people drove past the parked truck. Authorities say Potter’s death appears to have been a suicide.